Floating floors may not abut or touch any perimeter object or wall. An expansion gap is always required, and the gap needs to be covered. For very large rooms, it is customary and prudent to increase the expansion gap beyond the minimum requirements. As a general rule, the more expansion the better, as long as you can cover it with an appropriate molding. 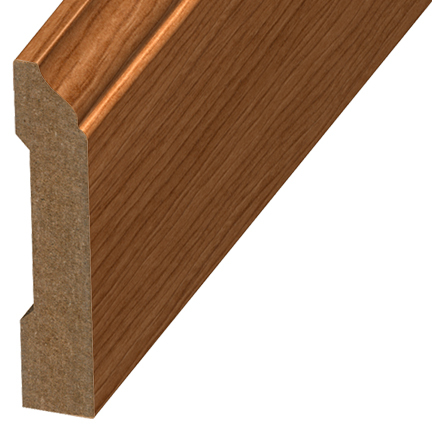 Transition and wall moldings ARE nailed or screwed to the walls and or sub-floors, NOT to the flooring products. Note: The images/illustrations shown below are descriptive only. The actual shape will vary by manufacturer. 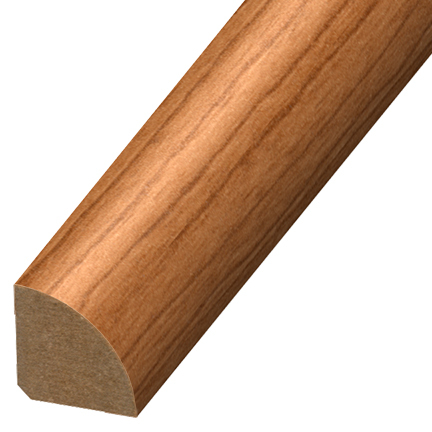 If you there are no wall moldings present, or if you have removed the existing wall moldings, wall base provides an elegant and stylish transition between floors and walls. Make sure the wall base is thick enough on the bottom to cover the expansion gap required by the specific flooring product. Use Quarter Round to create a smooth transition from floor to walls. Ideal for tight spots like the toe space underneath cabinets. 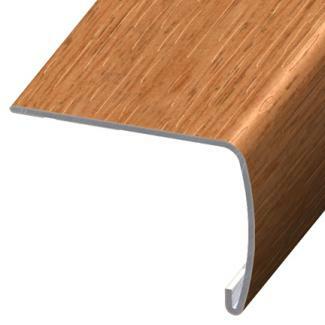 It also can be used in addition to existing wall base if you do not want to remove it prior to installation. Quarter round can be used along with and in addition to new Wall Base to achieve extra expansion space in large rooms. 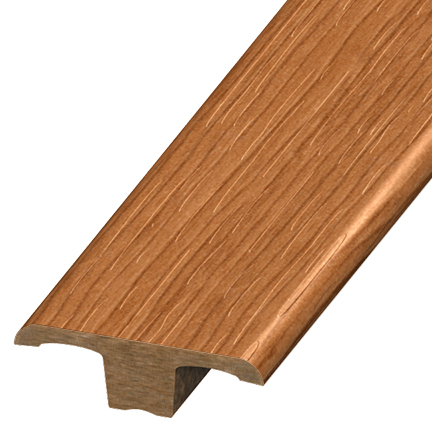 The T-Molding is used as a bridge between two floors of approximately equal height. 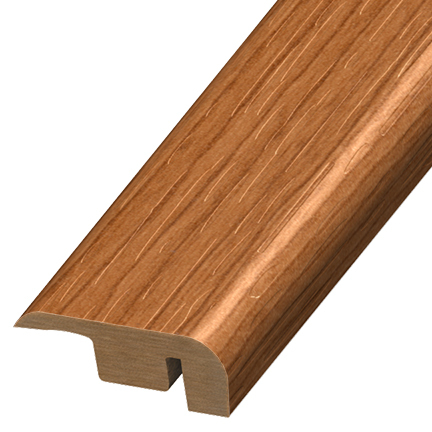 T-moldings are typically used in doorways without thresholds (with the same flooring on each side of the doorway) or in L-shaped rooms or hallways were you want to change the direction of the planks. 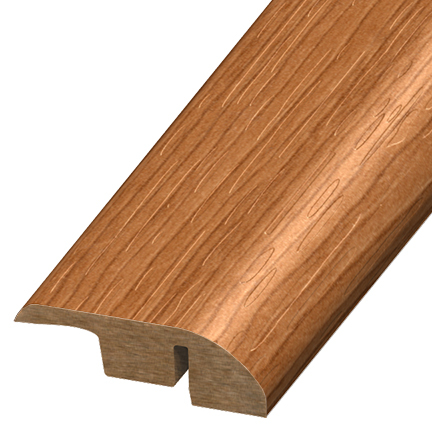 Reducer strips provide a transition to other floors, usually floors with a lower height. For example, the classic use of a Reducer is a transition to sheet vinyl, vinyl tile and linoleum. 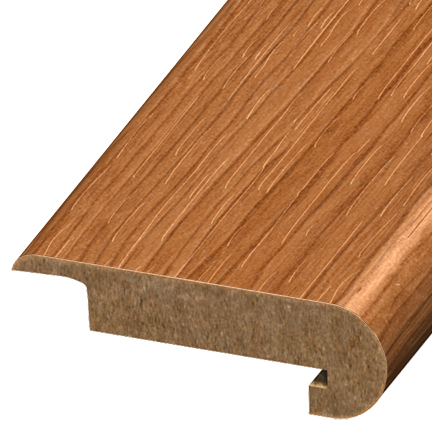 The VersaEdge stair nosing is a unique and adaptable stair transition. 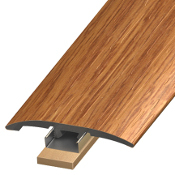 VersaEdge works with a variety of floor thicknesses and can accommodate overlap, lock down or flush mount installation methods. So it works equally well for an entire stairway (flush mount) or a single step like a sunken living room (overlap). The Slim Trim 3-in-1 multi-function transition molding functions as a Reducer, T-molding or End Cap and is available for many brands. This ingenious molding by Mohawk enables the profile to be used in various contexts - typically replacing a T-Molding, Reducer and Sq.Nose, by use of an included cutting tool. This often reduces on waste and overall cost. 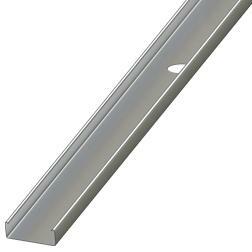 A plastic or metal channel that provides a secure attachment point for transitions. 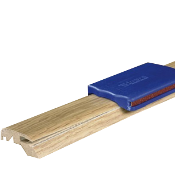 With some brands, the track is included in the package with the molding. Other brands show them as optional components. The track is nailed or screwed onto the sub-floor.